January 2, 2019 NJASL members along with NJLA Executive Director, Patricia Tumulty presented public testimony at the NJ State Board of Education. Robin Canetti in Room LRC spoke about the need for open access to school library materials (referencing the situation in Mahwah where students are limited in their opportunity for book checkout). Debra Gottsleben in Room A spoke about her school's participation in Library Snapshot Day at Morristown HS and the students comments about their library. Anne Piascik in Room LRC shared her students' heartfelt comments about their school library at Morristown HS as part of the library's participation in Library Snapshot Day. Patricia Tumulty spoke about the need for an Information Literacy Curriculum. September 9, 2018 Public Testimony from Christina Cucci and Darby Malvey to the NJ State Board of Education presenting a letter on behalf of AASL to adopt information literacy standards. May 2, 2018 Public Testimony on the importance of school libraries before the NJ State Board of Education. May 2, 2018 Written Comments on the importance of school libraries submitted to the NJ Board of Education for Public Testimony. April 9, 2018 Lisa Bakanas' testimony at the NJ Assembly Budget Hearings on Proposed Budget and the need for funding for school libraries. May 3, 2017: Evaluation of the Performance of School District Testimony to the NJ State Board of Education. Presented by Lisa Bakanas, NJASL President-Elect. February 2, 2017: School Librarians and Digital Curation: Value Added (Essential) Service for School Communities. Presentation created by LaDawna Harrington, Mary Lewis and Pat Massey. Presented by Mary Lewis and Pat Massey to New Jersey Association of School Administrators, Curriculum & Instruction Committee. September 17, 2015: Bruce DuBoff, NJASL President-Elect, advocated for a re-focus on school libraries and librarians in a speech he gave during an NJ Board of Education Meeting. Read his testimony here. 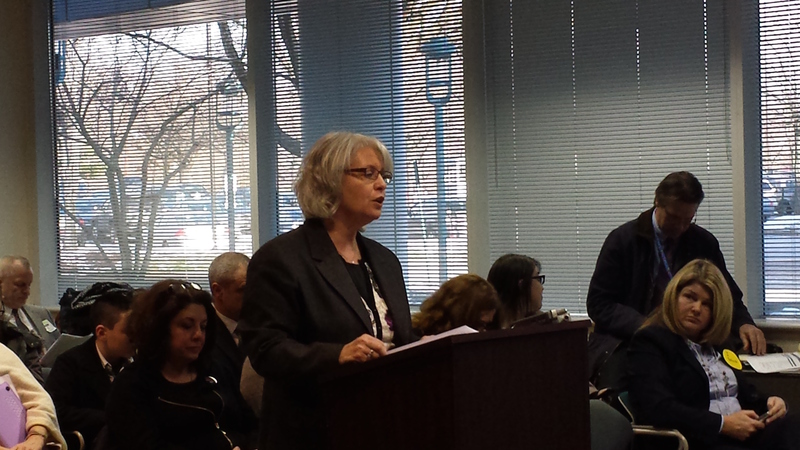 January 7, 2015: Arlen Kimmelman, NJASL President, testifying at the State Board of Education meeting. Click here to read her testimony, Planning for the Future of NJ's School Libraries. March 2012: Budget Assembly Testimony by Fran King, NJASL President. April 30, 2012: Reading Disabilities Task Force Testimony by Peg Lawlor, NJASL representative. April 2012: Letter to Reading Disabilities Task Force from Pat Massey.